There is an irrefutable truth about silver. Regardless of the degree of ornateness, the careful craftsmanship or the beauty of the design, silver will oxidize and tarnish. It will loose its shine. Its beauty will become hard to see, putting its value in doubt. It is not a fault but rather a necessary occurrence; glory indiscernibly begins to fade. The patina is lost. Handled and exposed, the delicate carvings, the intricate swirls, seem to disappear, until there is only the suggestion of what used to be. Darkened, it gets pushed aside, rarely used, it becomes irrelevant. We question the radiance we saw in the first place. Isn’t it the same for our dreams, our passions, our relationships, our intentions? At one point, born in enthusiasm, carefully nurtured, they were shiny and attention grabbing. They shone with brilliance. And then, with no one at fault but the passage of time, they started to tarnish. Perhaps you’re just not feeling that committed anymore? Your purpose seems distant, motivation a little lacklustre and the promises to yourself are familiar instead of tantalizing. Everything is “fine” but nothing is electric. Things get a little hazy, life gets full, we rush, we forget to sleep, we dive into new things and slowly the promises that we made ourselves become a little dull. I am sitting here wondering what my New Year’s resolution should be this year and feel stress start to creep into my thinking. These dreams of a “new me” come with equal measures of trepidation, self-recrimination and resolve to “get it right”. They have a subtext- I am somehow wrong and in need of fixing, improving or changing. It is no wonder New Year’s resolutions are doomed to failure. But what if instead of changing, I chose to polish? To deliberately and carefully give myself the gentle affirming attention needed to bring back my lustre? What if like silver, the beauty that I am seeking is inherent in me and has only to be made shiny again? Perhaps instead of finding new dreams for a “new Tania”, I need to reconnect to step back into what excites me. 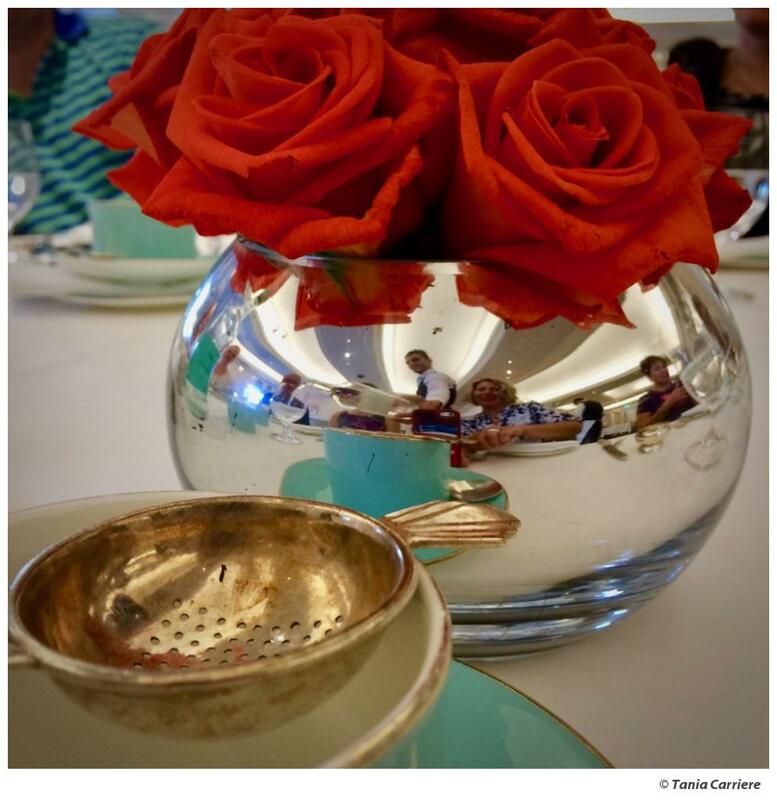 To restore wonder, enthusiasm and delight. I will take out last year’s business plan and recommit to it, rekindle my joy in the dance classes that I loved, shop in my own closet and bring out the forgotten favourite pieces, renew conversations and dates with old friends, cook my favourite meals. None of these need changing. There is nothing wrong with them. What needs changing is the mindset “I tried that, it did not work”. The truth is, it did work. While I focused on them and they were bright and shiny, they did work. It is not that they were wrong, but rather, life took its toll and they became a little tarnished. Bringing intention back to them IS the resolution. As you set out with your New Year’s resolutions, trust that you already have what you need in you. You are still that beautiful silver. There is nothing wrong with you. You are enough. You’re just tarnished honey. Life just does that. It always does that. You just need to bring out the best bits of you again. Make them shiny, use a little elbow grease to have your fine craftsmanship be radiant again. Maybe a little less change, a little more polish? Join us! 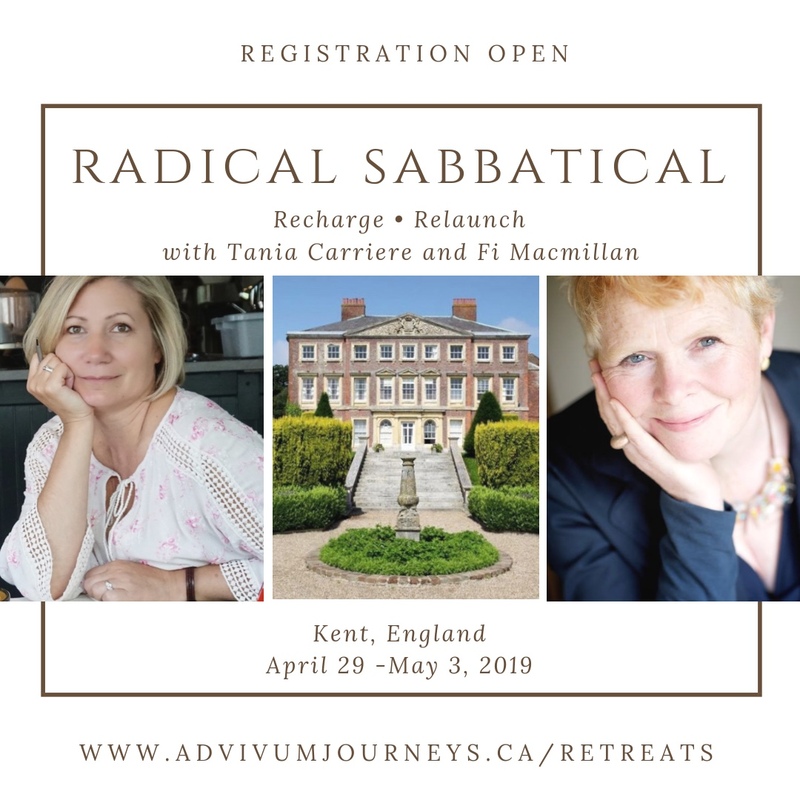 Registration now open for our next retreat- Radical Sabbatical, April 29-May 3, 2019 in Kent, England. For 5 days we will be the exclusive occupants of Goodnestone Manor, where Jane Austen came to be inspired! This house of grandeur, its 15 acres of renown gardens and the Kent countryside will be our playground as we rekindle what may have become dormant to emerge reconnected, rejuvenated, ready. www.advivumjourneys.ca/retreats. I'm also a Leadership Coach, PCC ICF. 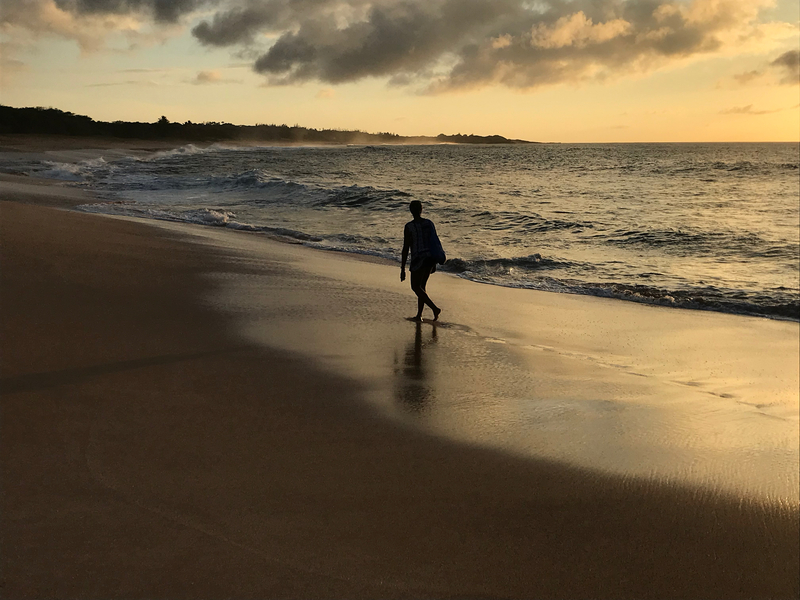 Experienced in the design and inspiration of leadership renewal and transformation in the context of significant personal or organizational change. 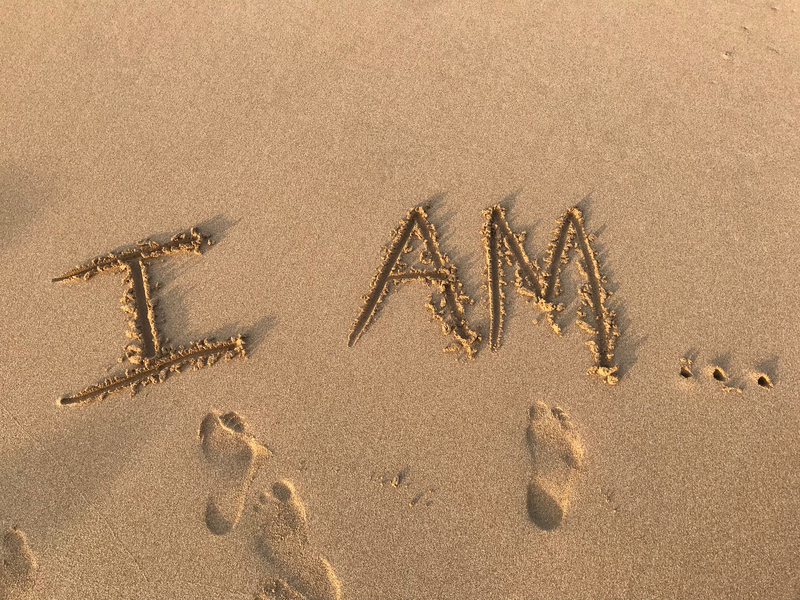 As founder of Advivum.ca, she brings extensive international business acumen, leadership and experiential learning practices to create the deeply engaging learning environments needed to effect impactful and resonant behavioral, emotional and relational change.